This morning we had the pleasure of meeting Pietro. 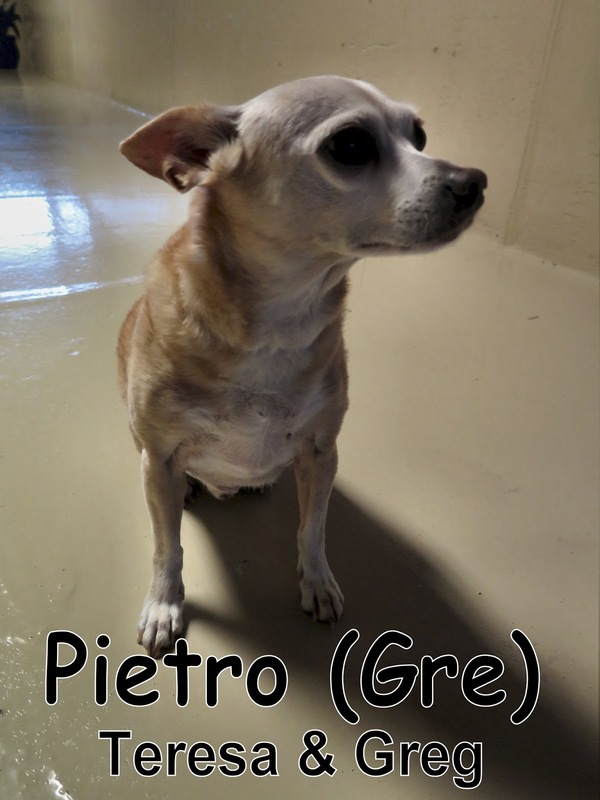 He is a very energetic fourteen-year-old, fifteen-pound, Chihuahua/Terrier Mix. Pietro joined our Small Dog Program and had a great first day. He spoke very good dog, and enjoyed mingling with the others. He has a lot of energy for an older dog, and definitely doesn't act his age. He is welcome back anytime. We look forward to seeing him again soon.